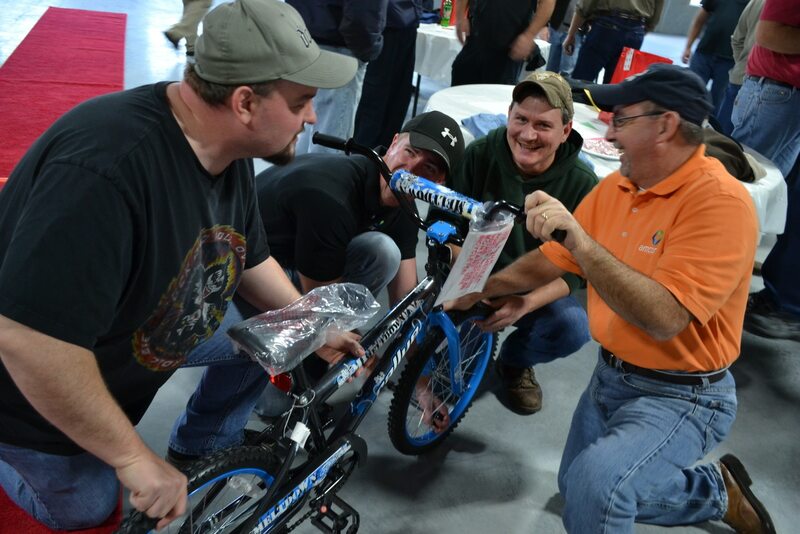 A team from Amcor in Roanoke, Virginia builds bicycles in a team building event in Wyethville, VI. 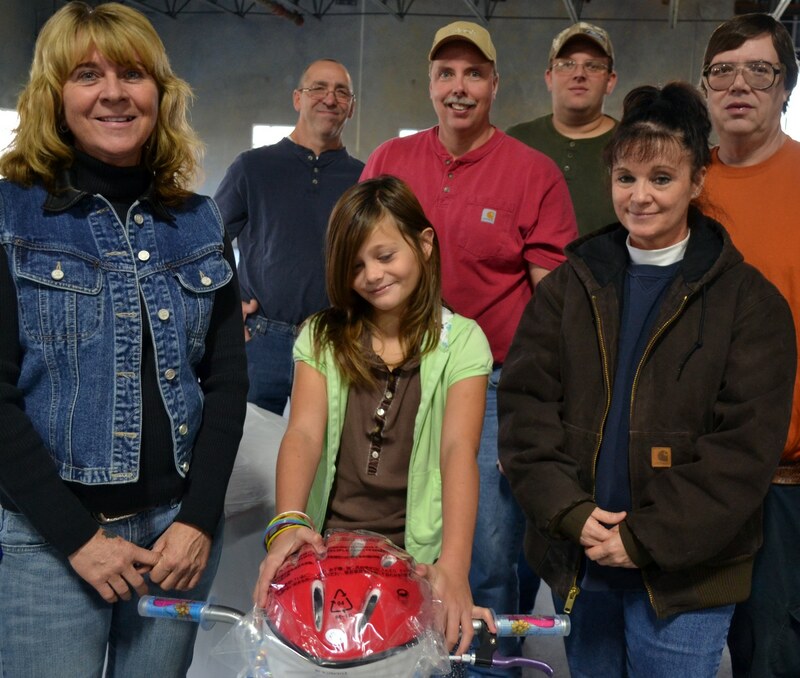 Amcor – maker of many things plastic, like those easy to grip Gatorade bottles, halted production lines to build some bikes for area kids, and learn how to be a stronger team. Folks at Amcor are thankful that in this economy they have jobs, and today they gave back to the community where they all live. It is a rural area, where a deer, or a wild turkey, is just as likely to cross the road as a car, where everyone pretty much knows everyone else, and they care about each other. Like many areas, the economy has not been kind to everyone. For kids it is hard to understand why they can’t have what other kids have, and today Amcor tried to even the odds. As part of a team building day they chose the Leader’s Institute’s Build-A-Bike program to learn a little, get out the wrenches, and build some bikes, for kids who had none. Along the way, they learned a little more about each other, some of it surprising, some of it – just a lot of fun. Yes, there was a little competition, but by the conclusion, they were in total agreement about one thing – the result – bikes for kids, made them all winners. They met the kids. (All a bit shy, but happy.) They taught some how to ride, and then invited them to a home cooked meal. Sweet potatoes, deep-fried turkey – the works. 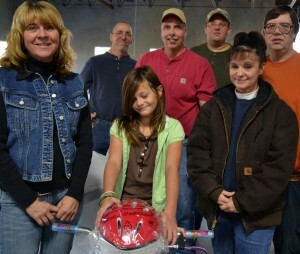 After the kids and their families ate, the bike builders sat down and broke bread together. Oh, did I tell you it was in honor of Thanksgiving and Wyetheville is just a long hop from Roanoke, Virginia where many of their forefathers broke some land and created their new lives, after a long voyage from the old country. In those days, you can bet any turkey they ate was one of the wild ones, and this group is thankful for their ancestors’ sacrifice. By Connie Timpson/Sr. Instructor/Performance Coach/The Leader’s Institute, who teaches team building events in the greater Washington DC area.